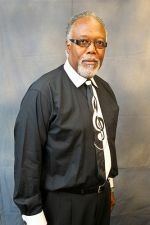 Warren Duncan is the MVA Chair, and Head of Fine & Performing Arts at Tuskegee University. Mr. Duncan has been at Tuskegee since 1972, and served as Director of Bands from 1976 to 2015. Mr. Duncan is a member of several fraternal and music oriented organizations including Kappa Kappa Psi, Alpha Phi Alpha and Alpha Phi Omega. Under his direction, the band has won several awards and recognitions for their excellence in performance, timing and presentation. Mr. Duncan serves on the Council's Grants Review Committee.